This intriguing piece by Silva Vasil is inspired by the Pixelomic project by Dusan Cezek. 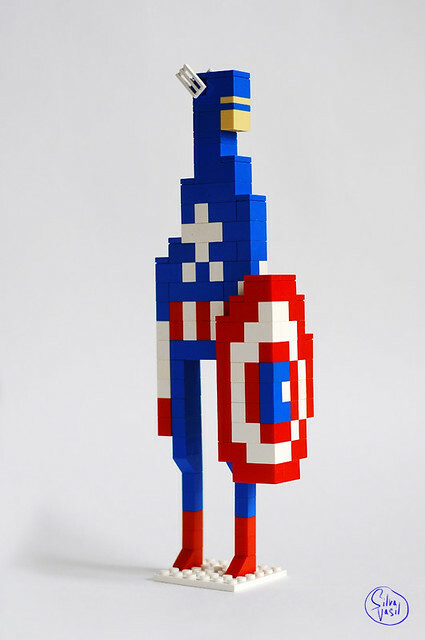 I can't decide which is cooler, animated in 8-bit, or physical in bricks. It actually reminds me of the excellent game aesthetics of Superbrothers: Sword and Sworcery.